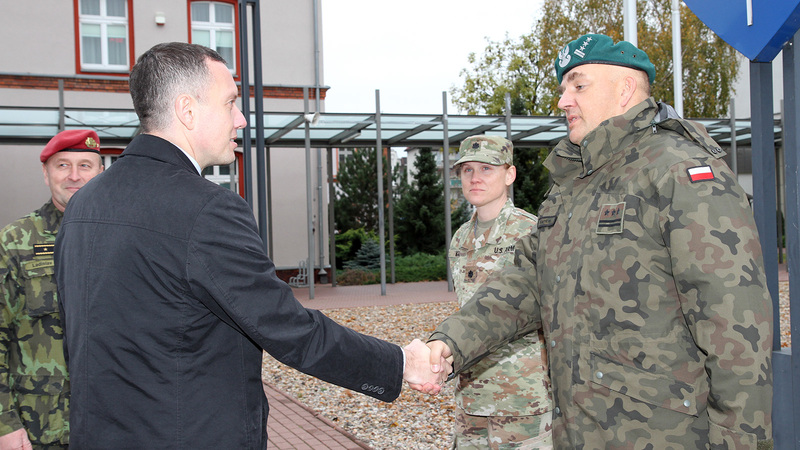 Mr. Tomasz Zdzikot, Deputy Minister - Secretary of State in the Polish Ministry of National Defence, visited the Joint Force Training Centre (JFTC) on 29 October. 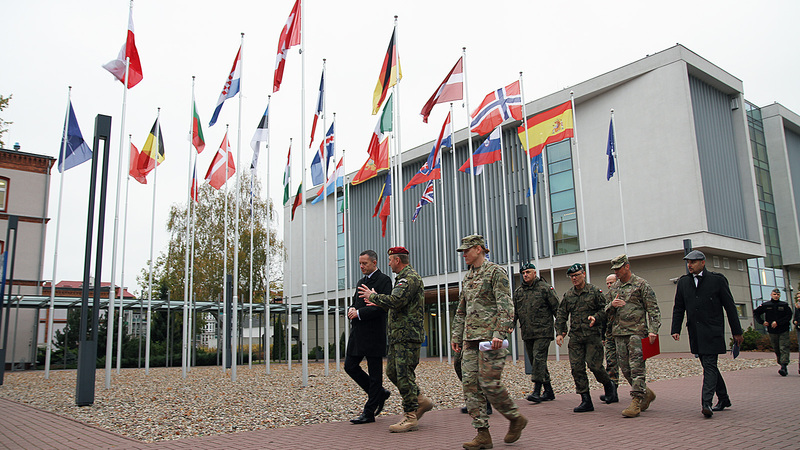 He was accompanied by Brigadier General Robert Drozd, the Chief of Command and Control Directorate at the General Staff of the Polish Armed Forces. 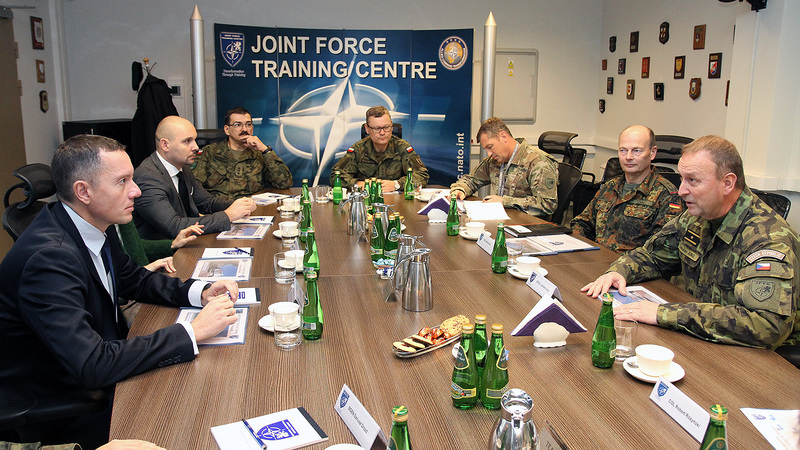 The guests met with Brigadier General Ladislav Jung, the Centre’s Deputy Commander and Chief of Staff, to learn more about JFTC’s mission, activities and development. An initial briefing on JFTC’s role, structure, main engagements and capacities, presented by the key staff, oriented the guests with in-depth information about the Centre. 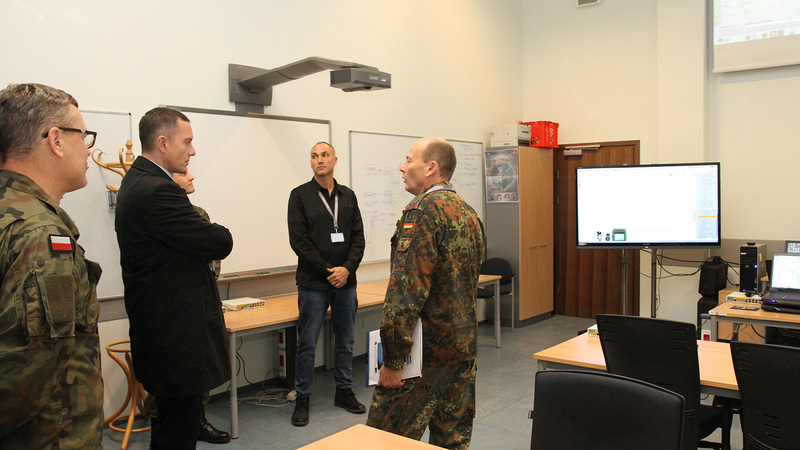 The Deputy Minister, for whom this was the first visit at JFTC, was especially interested in the Centre’s programme of work, plans for future development as well as core training events and exercises with special emphasis on CWIX – NATO’s biggest annual interoperability event that has been executed at JFTC for the last eight years. He also asked about the details of the NATO-Georgia mentoring programme conducted by JFTC, and possibilities of Centre’s expansion. As JFTC has been enhancing its footprint in the area of capability development and innovations related to training, the guests had an opportunity to deep-dive in Centre’s testing and experimentation capacities, including the newly established battle laboratory. The discussions also touched upon Polish contribution to JFTC structure, including next year’s Change of Command, when Polish General will take the lead over the Centre. The visit concluded with a short tour through the JFTC compound that was then in the initial phase of preparations for the Exercise Citadel Bonus 2018. This allowed the Deputy Minister to observe the Centre getting ready for one of its biggest annual exercises supported in Bydgoszcz.